Let it Snow-Let it Snow-Let it Snow - our Frosty Friends are ready to deliver all your favorite popcorn treats! Our 6½, 3½ and 2 gallon tins are filled with All Buttery Flavored Popcorn or a 3/way combination of Caramel, Cheddar Cheese and Buttery Flavored Popcorn. 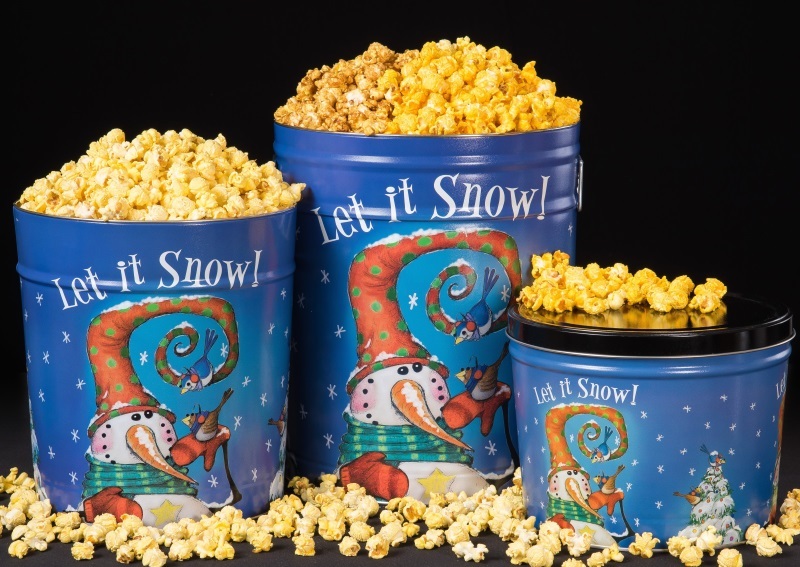 The 3½ gallon tin is also available filled with Caramel Popcorn, Cheddar Cheese Popcorn and Vanilla Popcorn with Almonds and Pecans.